My spotmatic was on count 5 and its film advance is jammed while the shutter has no action upon pressing. So last night, my first reaction was to wind the rest of the 36 roll and open up the back door to see if anything unusual or trivial to fix. I should have gone to this fantastic thread of discussion for the solution, I opened up the base plate of my Spotmatic and saw the problem exactly as illustrated in the photos in the link. A push on the lever enabled the shutter release. And now my Spotmatic is freed from the jammed shutter. Question: Can I re-use the roll in loading it in the dark and advance the film to the 6th counter? Last edited by hinman; 07-22-2014 at 10:40 AM. 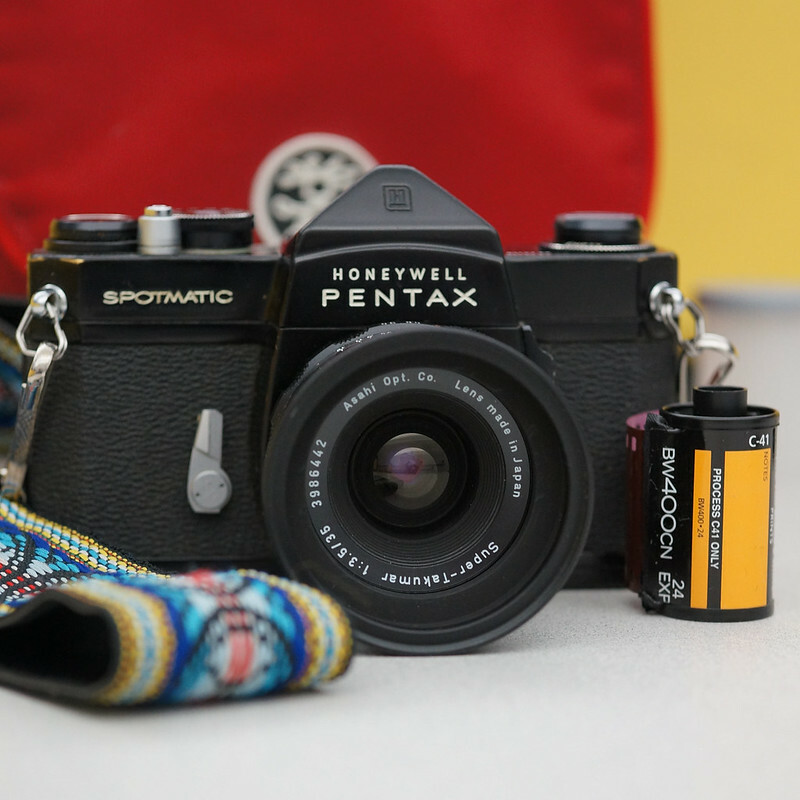 You should be able to reload the same film as you would normally load, then advance to the 7th frame by keeping the lens cap on and firing the shutter normally. The part of the film that gets exposed to light while loading was already exposed the first time you loaded the film.